Architecture is a unique expression of artistic imagination whilst remaining pragmatic, utilizing the space as a home, public place, commercial building, or a religious site of worship. Over the centuries, our lovely country has played host to all manner of architectural beauty. However, there's just too much in the way of amazing architecture to tackle both early and modern eras, so we shall have to remain, for now, in the past. These 7 wonders cover the 17th, 18th, and 19th centuries and is by no means comprehensive - we did, after all, only have room to choose seven. Visit for yourself on a grand educational student trip or choose your own wonders and have an adventure! There are two constants in this list, with a few exceptions: money and religion. These two make it possible for humans to create amazing works of art with stone, wood, and brick. On the religion side, the building of these magnificent structures was designed to represent God's glory, his majesty and his infinite wonder. A cathedral such as New York's St. Patrick's is no exception. Its stunning spires and Gothic style elucidate the believers' intense faith and inspiration that led them to create such a phenomenal piece of history. Stationed on prominent 5th Avenue, St. Patrick's predates the fashionable scene and dates back to the mid-19th century when loyal immigrants deeply desired a church to call their own. Today, groups may take a guided group tour or self-guided walk-in tour to learn more about the history of the site and about what makes the architecture special. Here is the second half of the standards in architecture: money. The Vanderbilts and their affluence spread over centuries and states, creating a number of insanely opulent yet fabulous constructions. 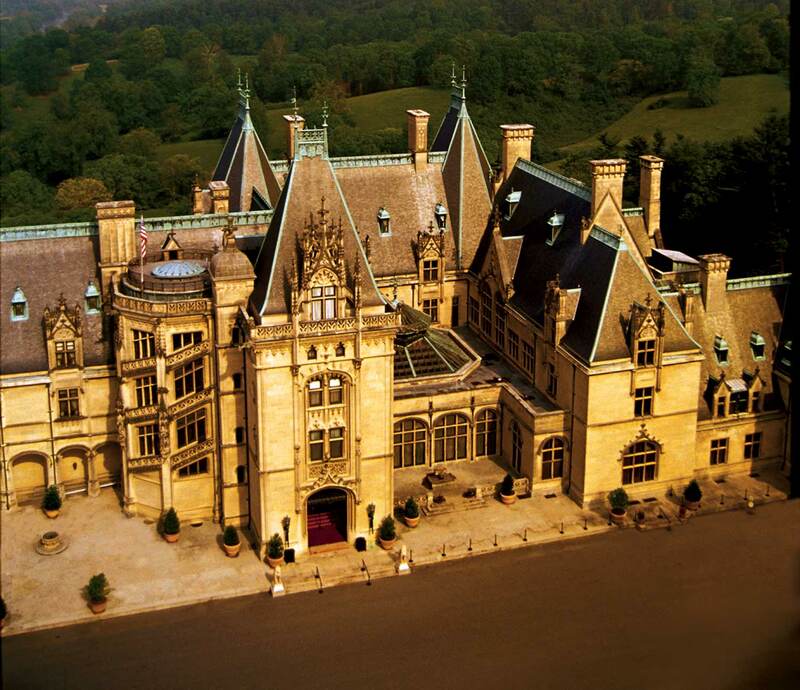 Biltmore, the largest private residence in the United States to this day, is certainly one of them. Built in a French Chateauesque style, George Washington Vanderbilt II outdid himself by even creating a whole Biltmore Village to reside on the property as well. Not only is the house itself gorgeous and a whopping 178,926 square feet, the entire property covers 8,000 acres and includes a church, post office, doctor's office, school, rental cottages which were originally used by the house's support staff, along with many of Vanderbilt's forestry programs and farms. The house, though still privately owned, is open for tours and even hotel stays, allowing visitors to reside in the cottages. Here, again, we find another cathedral, this one historic as the culmination of a great many efforts on the part of New England Catholics to establish their own home in the U.S. Until this point, and even after, the United States was predominately anti-Catholic with many prejudices laid against the religion. The Catholics of the U.S. fought for their right to worship and during the late 18th century, were eventually granted their own archbishop, no longer having to receive guidance from the London archbishop. The building of the Baltimore Basilica was the triumphant prize in the face of adversity, their show of hope, faith, and trust which went into creating the first American diocese. Designed by the father of American architecture, Benjamin Henry Latrobe, the Baltimore Basilica is known as "America's First Cathedral." Tours are given weekly on schedule though anyone may enter and enjoy God's grace and glory inside this historic space. A second Vanderbilt mansion, in affluent Newport, The Breakers is only one of the many beautiful mansions in the area. Now owned and operated by the Historical Society, The Breakers is mainly a tourist destination to discover the spectacular beauty of such Gilded Age opulence. Cornelius Vanderbilt II built this lovely Italian-Renaissance style home, designed by Richard Morris Hunt, as a 70-room, 125,339 square foot summer home. From the limestone and wrought iron gates to the ivy covered stone facade, pin oak and red maple forested lanes, and French designed interiors, your group may very well walk from room to room with your mouths hanging open. Whether or not you approve of the use of Vanderbilt money for such opulence, you can certainly agree that The Breakers deserves to be among Rhode Island's most visited tourist destinations. Let's break from tradition and move to a government building, shall we? The earliest construction on this list, Independence Hall is one of the most important historical buildings in the United States as it played a hugely significant role in the early days of our country. Now part of Philadelphia's Independence National Historical Park alongside Congress Hall and the Liberty Bell, Independence Hall was the site of the drafting and signing of the Declaration of Independence as well as the Constitution. The original home to the Second Continental Congress from 1775 to 1783 and the site of the Constitutional Convention in 1787, Independence Hall is certainly an educational destination. It is also an architectural beauty with its Georgian red brick facade and elegant yet understated interiors, drawing in hundreds of thousands of visitors every year and instilling in them a passion for history and an appreciation for the ingenuity of the human spirit. 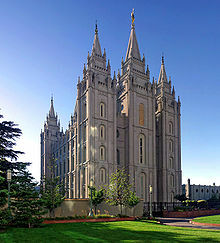 Commanding the attention of everyone within eyesight, the massive 10-acre Temple Square complex revolves around the 222 foot tall Salt Lake Temple, mother church to the Church of Jesus Christ of Latter-day Saints. The intense and brilliant construction required a full 40 years to complete and was the fourth temple to be built by the Mormon church since its people left Nauvoo, Illinois, in 1846. Though none but practicing Mormons are allowed to enter the holy interior, anyone can tour the 10-acre Temple Square park and explore the many house museums and historic exhibits surrounding to learn more about the church, the building, and the Mormon people in Salt Lake City. Finally, we come to the American southwest and the Spanish-built San Xavier del Bac Catholic Mission church. Though this building was originally constructed in 1692, the first church was destroyed and replaced by the current building, finished in 1797. Historically, the mission was founded by Father Eusebio Francisco Kino, an Italian Jesuit priest who founded the Sonoran Desert missions which were then ruled by the Viceroyalty of Spain. Also called the "White Dove of the Desert," San Xavier del Bac is a magnificent white stone church with stunning details, melding the style of the location with the grandeur befitting a house of worship. The mission is open to the public daily for tours and visits though they ask patrons to be respectful of their traditions and beliefs and to keep an open heart and mind when touring.